As a lifetime resident of Chicago with almost two decades of experience in residential real estate, Mark's industry expertise and insider knowledge of the various neighborhoods of the city has far surpassed the conventional boundaries of many brokers today. 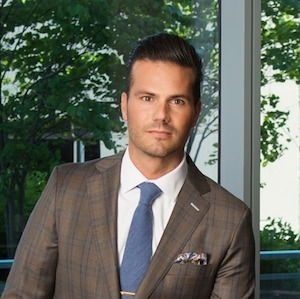 Mark has an extensive background in condos, single-family homes, and multi-unit investments! Mark is more than happy to assist clients in all price ranges, from first-time buyers to sellers of luxury properties. Mark offers unmatched concierge service and round-the-clock guidance to help you navigate what is often the most important financial decision of your life. My team and I have amassed over $40 million in significant home sales over the last several years in the Chicagoland market using our proven, in-depth knowledge. As a full-time broker, I believe in effective marketing, personal service, and most importantly hard work. The most gratifying part of Mark's job is pairing individuals and families with a home and neighborhood that fits their needs and lifestyles while maximizing the value of that investment into the future. The secret to Mark's success is simple -- know your market inside and out, be honest, and always work in your clients' best interest. Mark is dedicated to his volunteer work as the creator of a non-profit organization devoted to providing victims of natural disasters with the resources they need. Mark is also a proud member of the Fenwick Alumni Association. To balance out his work life, Mark enjoys traveling and spending time with his wife and children. “I would highly recommend Mark Raffaelli if you are looking for a realtor. Mark went above and beyond to sell our property. He had professional photos taken of our property and held numerous open houses. He also provided timely feedback as well as status updates every step of the way. I cannot say enough good things about his work and professionalism. ”– John B. "Mark, Thank you for helping us relocate to Chicago. We really appreciate the time that you took to show us around the different neighborhoods of the city and to give us your personal perspective on each. Of course, we also appreciate your sharing with us your insider knowledge of the Chicago restaurant scene! We love the condominium you found for us. The location, the staff and management of the building, the layout and (I must add) the views are great - not only for us but for our many friends who visit the city. Thanks, too, for working with us through the purchase process with an owner who was not particularly motivated to sell!" – John P.
"Mark defies what you would expect in a real estate broker. His knowledge of Chicago buildings, neighborhoods, and communities is incomparable. He did a fantastic job selling my Tri-Taylor home. My home was listed with 2 other agents before I found Mark. His efforts in the first two weeks were more than the combined efforts of the other brokers. From day one Mark was meticulous, diligent, hard-working and honest. He said he would sell my home at a certain price point during my expected time-frame and he did! My home was not the easiest to sell--Duplex with a garden rental on a busy street next to a restaurant with no parking! I was immediately impressed and remain impressed with how far he goes to satisfy his clients. He gives 110%. Mark is patient and answered all of my questions morning, noon and night all the way through closing. I could not imagine a better experience. I highly recommend Mark to anyone looking to buy, sell or invest in property in Chicago!" – Francesca M.